It’s good to know who we are and what we do (and plan to do further). You should always verify the source of your information, try to know few things about the author(s) who you are about to read. There are many people who have no idea what they are saying, who are writing nonsense yet they have a nice way of making you believe their ideas. And there are some people who actually talk and write from a strong background of knowledge and experience. Who we are? That is up to you to decide. But always check the source of the information! Same as above but detailed, here you find information about each author, collaborator and translator. Some of them have detailed profiles, if you click the link Read More at their profile picture. We’re only at the beginning, but personally, I’m very proud to have such great names involved in this project. Aaron Leitch, Rufus Opus, Humberto Maggi, Asterion are very respected authors, whom I had the chance to collaborate with. And I’m sure that we’ll have more great names in our Team… oh, did I mention that Dr. Stephen Skinner is also involved? Damn, if I could make him accept to write for us I’d be thrilled!! Wouldn’t you? When I started working at this new website, I was literally broke. I had no money, only ambition. I had enough writing material as well.. But to find a good web designer/developer who I could pay for a wonderful job, to pay the hosting, to pay the domain, to pay some translators… I needed money. Some very cool people decided to help me with donations, with free translations and with a great website. These are the people that helped me accomplish this whole thing. THANK YOU! This page is currently under construction. This is where you will be able to go to other great websites who decided to affiliate with us. Thing is, I will never, ever affiliate with a bad website (or one that in my opinion is bad). I want to give good information at every corner of this website, including here, so I promise that if we are going to have any affiliates, they are going to be good ones that you should check out. If not, better alone than surrounded by..
We’re always in search of good partners to team up with. This is a big project already, yet it’s going to get bigger and only a handful of people can’t keep up with everything. If you believe that this website is worth helping and you’d like to contribute with anything listed there, don’t hesitate. However, the donate button is not there to beg for money and bother you. It is just up to you, if you want to donate or not. Nothing enforced. However, you can’t build a beautiful library with hundreds of books with only a few dollars. You’d probably get a small stand at the market and sell bad stuff… anyway, I’m talking too much now. This is the place where we will make all announcements. If there’s a new article, it will appear there so you may you about it and check it out. If there’s any change at the website, you’ll find out from there. Every event, conferences or contests or whatever we will do in the future, will be shared there. Also, we will share news from the occult world in general. We’ll try to keep up with all the good news and deliver them to you in good time. Well, now we’re getting to the serious part.. the beginning of the study. 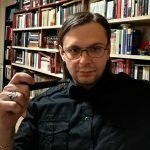 The first part of this page offers a little more info about the people behind Occult-Study and about the website, in case there are questions that haven’t been answered elsewhere. However, the second part, “About the subjects”, is probably the best and shortest intro for the people who are totally new to occultism.. but not only! Then there’s the third part.. There are also some answers to some very common misconceptions that many people still have. It’s good to clarify things instead of believing the wrong information. A bonus part is an interview that me and Asterion gave to a Romanian newspaper when we were running Ocult-Ro. This interview goes well with the information from the F.A.Q. page because we are answering common questions from people in a detailed manner. Yea, maybe the Tree of Life with the subjects on it isn’t perfectly balanced, but I didn’t have time to correct it. The picture is not that relevant, but what the links in the picture offer you.. ARTICLES! Finally, a good deal of study material about the most important subjects related to the occult. Click on whatever subject you like and read… read and.. keep reading! Because this is still the beginning!!! There are over 100 articles and many are still being translated, some are being written and some are being prepared. If you read the F.A.Q., you read the articles and still want to know more about a certain subject, you can find recommended books at this page. It is not finished yet, there are many other books to be added but for now it is enough. Also for further study, here we provide links to websites that we trust. Since I mentioned books at point 9, here you can actually find a big list of occult publishers if you click on “Occult Publishers & Antiquarians”. This page is not yet active, having only the interview with me (F.v.F.) and Asterion. However, the real purpose of this page is that it is going to feature exclusive interviews done by Occult-Study with various personalities involved in the occult. So keep an eye on there… or check the News page when we announce the appearance of a new interview. I can’t wait for this! Finally, after all the study and headaches from too much information, it’s time to relax and have some fun. Well, the survey might not be THAT fun, but it is important for us, especially now at the beginning of the website, to know how the website works on your device. How long it takes for a page to load, how good it looks on your display and so on. Then, there are polls for entertainment and finally, we have two Quizzes that you can play in order to test your occult knowledge so far. That is about it for now. As we promised, we will have more stuff soon. Online video conferences, study courses, contests, a very very cool image gallery and occult literature to share such as poems or lyrics and so on. The study of the occult is a lifelong engagement. It is beautiful and hard at the same time, yet also rewarding. Nothing great can be achieved without a minimal amount of effort. Keep up, we’re here to help.